Ya, so it's a bumper sticker title, so what. 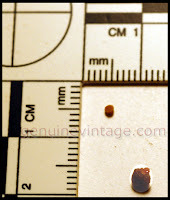 I was never much of a cheese eater until I had kidney stones and strangely enough my urologist said "more dairy". 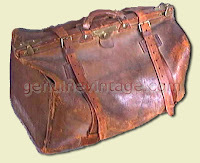 I'm also not much of a Canadian, more of a fair weather Canadian, so as soon as the weather turns "brisk" I pack up my troubles in my old kit bag and head south, specifically, Miami Beach. And in beautiful scenic downtown South Beach I found Epicure. It just called out my name as I walked by. And in Epicure, a swell shop with groceries and prepared foods (insert a to die for here), a cheese sample lady forced a slice on me and hey...not bad. What I tasted was perla grigia al tartufo. 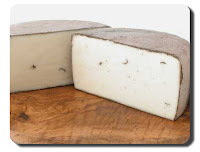 I found this description on the net: "Made just outside of Venice, this cow's milk cheese is aged for just one month. 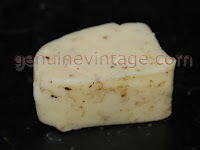 This young, fresh tasting cheese contains flakes of the prized black truffle. 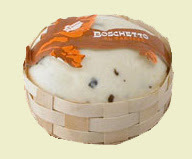 After being carefully washed, Sottocenere is rubbed with extra virgin olive oil infused with natural truffle flavor. Sottocenere literally means "under ash," so this semi-soft cheese is covered in ash to preserve the flavors." 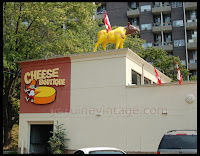 When I returned to Toronto I couldn't find it at any of my trusted locals, those being: Global Cheese in Kensington Market; the Cheese Boutique in the High Park area; or Whole Paycheck, (I mean Whole Foods) in uber trendy Yorkville. But the fine folks at said Cheese Boutique let me taste a generous sliver of sheep's milk Boschetto (which is Italian for looks just so precious in a little basket). Now, it's lunch and I'm peckish (I love that word: peckish, peckish, peckish -- I think I went to chayder with Joey Peckish, now doing 14 months for insider trading) and I'm wondering what a grilled cheese sammy made with this truffle cheese instead of Kraft Singles would taste like. Nah, why screw around with perfection.